There’s nothing like a good parade to kick off the holiday season. 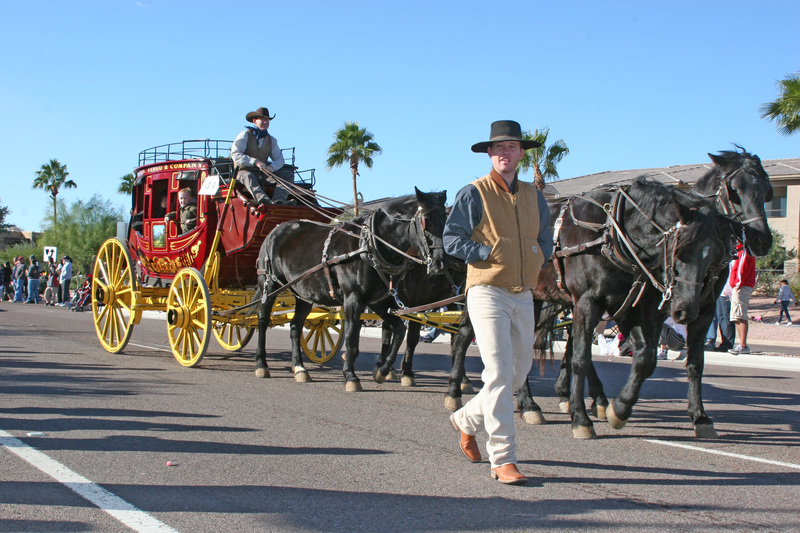 The annual Thanksgiving Day parade, themed “Frosty & Friends in Fountain Hills” promises that and much more! The Parade is full of local groups that come out to support our Town. The High School Marching Band provides some of their award winning music and dance teams bring the streets alive. Local Martial Arts teams give a terrific show of their unique disciplines, along with baton twirlers and gymnasts. Car clubs show off their stuff with everything from Model T’s to Mini Cooper and motorcycle drill teams. Several scout troops, chorus groups and community bands will also help you get into the festive spirit and the very last entry in the Parade is the Jolly Old Elf himself….Santa Clause! He ushers in the Christmas season and sends us home to be with our friends and families to make cherished memories. The Parade kicks off at 9am at El Lago and Saguaro. It marches down Saguaro to Palisades and then up to La Montana where it finishes at Parkview Avenue. Bring chairs and dress warm! Clients, Friends and Family of Sonoran Lifestyle Real Estate are invited to join us curbside at the corner of Avenue of the Fountains and Saguaro Boulevard. We’ll have muffins and beverages for young and old alike. This entry was posted in Area Events, Arts, Culture, Schools & Clubs and tagged Thanksgiving Day Parade. Bookmark the permalink.